Marketing automation has quickly become a buzzword which many businesses are talking about, but not actually implementing correctly. In order to get the most out of your online marketing campaigns, you will need to use marketing automation in right way. This will transform your ability to attract new customers and extend the LTV (lifetime value) of your current ones. The marketing automation phenomenon has been sweeping the marketing community at a breakneck pace. In 2013, only about 25% of B2B Fortune 500 companies used automation; in 2014, that number leaped to 53%; as of the beginning of this year, over 60% of ALL marketers use automation. With over 3 billion users flitting through it single day, the internet has given marketers access to unprecedented amounts of data.Much of this data involves details about each individual internet user; if you were able to break down and analyse this data piecemeal, you could deliver more targeted (and thereby more effective) content and marketing offers. There are, at the very least, tens of thousands of potential leads for your company online; this is where marketing automation comes in. Automation not only analyses the volumes of customer data that the internet delivers, but also create perfectly timed interactions with leads. It also makes instantaneous adjustments to sudden changes in consumer behavior. In other words, using marketing automation as part of a well integrated digital marketing strategy presents a huge opportunity for businesses to cost effectively generate traffic, leads and sales through online channels. With the right tools in place, sales cycles can be significantly reduced, contacts can be tracked and content can be tailored to meet their requirements. Increased visibility of the process means that leads can be nurtured to move them through the marketing funnel to become customers much faster. Why do I need it for my marketing campaign? One of the most common reasons for marketers avoiding automation is that they believe that they truly know their customers. Even if this were true, you still cannot deliver personalised content and offers to all of your sales leads at the perfect time. As we discussed in the section above, this is what automation does. Between professional peer pressure and the information delivered in this article, you are probably excited to start using automation to make you a better marketer right now. However, don't dive in headfirst, because while most automation resources are effective, they can still be misused. You should not, for example, think that an automated tool set will somehow make your email blasts to purchased email lists the perfect marketing approach. The internet is no longer a place where spam emails are the best approaches; doing these things a little faster won't make much of a difference. Automation works best when you use it to organically gain connections and nurture these leads. In other words, it should be integrated into your inbound marketing campaign. When you use it this way, it will maximise the lifetime value (LTV) of each customer by developing stronger connections and keeping people moving around the buying cycle. If, for example, your company sells trainers and a customer recently bought a pair of running shoes, an automation tool could get them excited about the shoes with daily reminders to go run. This in turn creates wear on the product and brings the customer closer to the next purchase. Don't sacrifice the functionality you need by choosing the cheaper option. When describing a marketing automation tool, I don't mean something that links with your email marketing platform which sends autoresponder emails. Also, remember to choose a SaaS (software as a service model). This will ensure your solution provider gives you ongoing support and ensures the solution remains current. 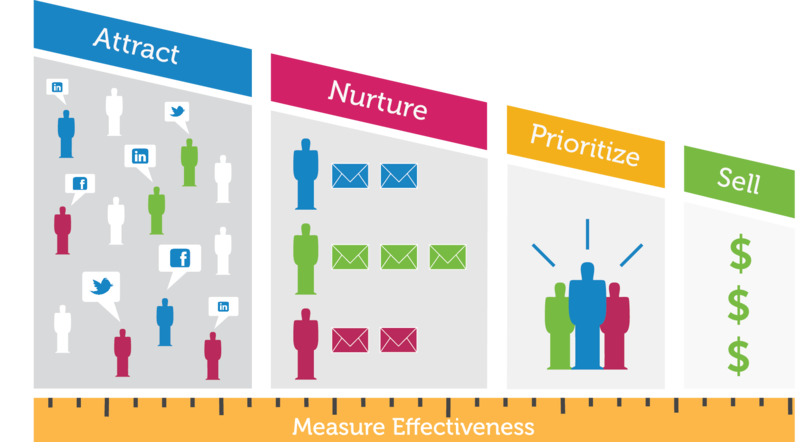 HubSpot is the world leading all-in-one marketing platform, providing powerful tools for content development, email marketing, blogging, social media, SEO, lead nurturing and marketing automation and rich analytics. Katapult are a HubSpot Gold tier certified agency partner, meaning we understand how to get the most out of the HubSpot software. As well as advising on its setup and implementation we can also help with the application of inbound marketing principles and processes. If you're considering exploring a solution such as HubSpot for your business, why not request a free inbound marketing assessment from us to see where you could maximise your investment.